I have lived in my apartment for over four years and I think it’s time I did something about my kitchen. It’s not that it’s bad. It’s just not great. But the more compelling reason to do something is that my appliances are all dying. And the dishwasher. Please don’t ask me about that. I’ve had the repair guy out twice to fix both appliances. The nuker squeeks as it turns around. That can’t be good. And the range. pffft. The counters are silestone and a kind of tan like the color of Cover Girl foundation. I don’t know if it’s better to do the kitchen cabinet refacing thing or just gut the place and star afresh. Oh, the floor needs to go too. But I’ve become obsessed with floors. Well, my kitchen floor! You’re the expert, so I hope that you can help. Uhhhh… Laurel? Are you okay??? Did you just write a letter to yourself and sign it too? Yes. What of it? You know… I have meetings with myself too! Anyway, you knew it was coming. I more than hinted about it on Sunday. It’s not the worst I’ve ever seen, but nothing I would ever do. Today, I had a phone meeting with my friend and mentor, Veronika Miller who owns Modenus, a fabulous kitchen and bath resource for designers and design enthusiasts, alike. She also runs a couple of rocking blog tours every year. I was incredibly honored to be invited to the last one to see KBIS– (Kitchen and Bath Industry Show) last January. Veronika knows people, if you get my drift. And, they listen to her. But there’s no free ride here. I have much work to do before any of this can happen. So, my first assignment is to create a massive wish list. But first, we need some of the usual inspo. Granted, there’s no shortage of kitchen blog posts the last few years on laurel home, but this time it’s different. Just put in ‘kitchen’ in the sidebar search box and they’ll all pop up. Or look under kitchens under categories– also in the sidebar. There are three levels of pain. Do a cosmetic refresh of the essentials. For the kitchen that is replacing all appliances, new faucet and hopefully new hardware. Plus a new soffit over the cabinets. 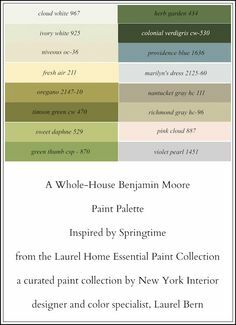 Paint of course. In this scenario the floor stays, the counters stay. For the bathroom, it would be a new vanity, paint and maybe a few other small things. It would be everything in one, except the cabinets would be refaced. You can reface Ikea cabinets through Semi Handmade doors. Not sure this makes sense for me. This would only be possible with the generous contribution from sponsors of my reno. Is that possible that there are vendors who will give me free stuff in exchange for me writing about it? But in the end, the old girl would be restored to all of her former 1920 glory. Hmmm… maybe this old girl should go for some renovations too? A little spackle might work wonders! Of course, we will do the fabulous mural in the hall from Mural Sources. Now, for the living room. Well, you’re going to have to wait to hear about that. I have an idea that makes my toes curl! Can we see your kitchen, please? Here it is. I know. Hate the hardware. It’s all from Ikea. Roman shade is Barbara Barry’s Indo Day. Yes, I know… weird light fixtures, but they work. I was thinking if I stayed with Pain level number one, I might do these cool pendants. Only $298. I think that’s a good price for these. I’ll take the La Cornue please. The exquisite Calacatta Gold in God’s gift to man colorway on the top. Remember when we discussed kitchen counters? fake travertine (ceramic) kitchen floor with real marble inlay. But it looks like they ran out because the pattern changed. 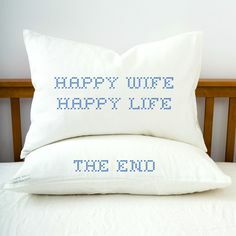 This is what I’d like to have. Lovely kitchen by designer Sophie Burke. I collected enough stuff for at least three blog posts, but I discovered something this week while on the hunt for the perfect kitchen floor and I’m not sure I should tell you or not. Well, because once you start, you may not be able to pull yourself away. Okay, I’ll tell you and maybe if there are enough of us, we can start a 12-step group. It’s on Villa Lagoona Tile. You might recall they were in this post about encaustic cement tiles. They have a thing on there where you can not only create your own unique color scheme, you can even tweak the designs by not filling in all of the lines. I discovered this a couple of days ago and it was only a matter of minutes before my addiction took hold. It only took about 20 2 minutes for my addiction to take hold. I found this pattern called Zarzuela and before I knew it, it was 2:00 AM. I mean… Greek Key, Chinoiserie theme and laurel leaves in one graphic? Maybe I can turn this into a logo! haha. This is like sending a designer into the Garden of Eden after not eating for a week! And here’s a small sampling of white I did. This was the first and then proceeded to do about 20 more– of this one pattern. I’m not exaggerating. Oh, I did dozens of other patterns too. but I’m not going to show them all to you, because I assume that you have other things to do, like put your kids to bed or tweeze your eyebrows or something. I did some smaller scaled ones too. And Villa Lagoon also has tons of in stock patterns. It looks like an awesome source! And I am definitely adding them to the next update of Laurel’s Rolodex! I also found dozens of wonderful patterns in black and white and colors. Great prices on Overstock. This is only a sampling. But it’s not quite right for my kitchen floors. So, I started looking some more through my kitchen pics on pinterest. I came across this beauty belonging to Mitchel Gold – Bob Williams. And then I realized that what I really want is more of a hotel/bistro look. And it makes a lot of sense too. My building was originally conceived to be a long-term residence hotel! Instead of the Capiz shell I’d maybe do something like this classic globe pendant from Rejuvenation. But since I’m still on kitchen floors I went on the hunt for my life this hexagonal tiles with a black snowflake motif. This is a ceramic version. I think that it’s less formal. Certainly less expensive. There’s also the classic flower version. I did also find lots of gorgeous marble hex tiles here and here. And then I came across some original beauties. Dollop Coffee Company in Chicago. This is an original floor still in use! I could see this in my kitchen. Black in the center with maybe two shades of green for the rest of the flower. Of course, I could always put in a wood kitchen floor. i trust you will find your way to a lovely floor design, but also trust you will steer clear of the hairbow/genitalia theme of the zarzuela–greek key, chinoiserie theme, and laurel leaves notwithstanding. it’s all you can see now, isn’t it? Thanks for the info Stephanie. Shame on the lame condescending contractor. Maybe it wouldn’t have happened if someone more competent was installing!!! I saw in your Classic English Kitchens post that you love DeVOL Kitchens. Their wooden kitchen stool is ace: read about how they achieve the seat shape! I am in love with this fabulous small kitchen. Me too! In fact I included it in this post from February. As usual, I love your information and the way you present it. It’s the best. Are you familiar with Green Demolitions? They’re outside of NYC. People (apparently with huge amounts of money) who are renovating, donate their kitchens to Green Demolitions. The kitchen is sold and the money is given to the charity of the homeowners choice. I bought my kitchen online from Green Demolitions 2 years ago; they were fantastic to work with.The kitchen that we purchased looked brand new but was a few years old. They do sell new appliances, cabinetry, tubs, vanities etc (showroom donations) for a fraction of the retail price. They often have La Cornue ranges! The kitchen I purchased included a complete set of high end cabinetry, soapstone counters and sink, a 12 foot cherry island, Sub Zero Fridge drawer and freezer drawer (in the island), Sub Zero fridge, Viking double ovens and warming drawer, Viking cooktop, microwave, cabinet hardware and a Perrin and Rowe faucet. I paid $15,000 for everything! It was probably a $90,00-$100,000 kitchen when first purchased. There was so much cabinetry that we were able to share. Oh, there was a wine fridge too. We had a lot of refrigeration. Thank you for your blog posts. I always look forward to reading your blog as I can count on fabulous design ideas and lots of laughs. Perfect. That is a wonderful business idea. The name sounds familiar. And it’s fantastic that you were able to do all of that for so little money. Do you have to have eating space in the kitchen? Eliminating it would give you more storage space and a bigger kitchen. I have a rule in my house that 8 or less people, we dine in the formal dining room just so it gets used; more than 8, in the kitchen space (table opens up to seat 10 comfortably, 14 cozily. But if I were designing a home, I would do one great eating area with maybe a small table off to the side for two people. There is plenty of storage, especially for a one-bedroom apartment. Also, we’re planning on creating storage in those upper reaches. (obviously, that’s for things rarely used) 99% of the time it is only me. I used to have a family, a husband, a cat, a house, carpools… but that phase of my life is over. And yes, I miss it, but instead, I have a blog and all of you guys! But I think it’s a mistake to take away the eating area. And right now, with that table that’s not really a dining table, it can only barely accommodate two. It’s me, from London again…I thought that your tile selections were lovely and so creative, too. I particularly like numbers 1, 2 and 6. And Sophie Burke’s kitchen design is breathtaking. I am in a similar situation to you: it’s like plucking a stray thread off your sleeve and then finding that you’re unravelling the entire birthday sweater your granny knitted you. One thing leads to another..
My kitchen is inoffensive too: cream gloss flat slab doors, black speckled granite work surfaces, dark slate tiled floor. I have to gut my new home (a 3 bedroom flat on two floors, in a Victorian house), because after buying it (and yes, I had a full structural survey, but they can’t lift floorboards), I discovered all sorts of dangerous horrors (electrical cabling duct-taped to central heating hot water pipes, for instance- oh, and some still operational lead piping). Having expected just to paint and recarpet, with a new en suite bathroom in a couple of years’ time, I have to take on a mortgage to pay for a £100k complete overhaul, at the age of 51. Grrrrr. But, the kitchen…I have been vacillating, as you are, on what to do. It needs to be taken out for rewiring and replumbing. It needs new appliances. I hate the slate floor and I’m not keen on black granite work surfaces, especially with white or cream gloss. But do I spend the extra £8k for new cabinetry, or do I get it refitted with new bits? I want to. I don’t want to. One person (my very wise sister) says “do it, or you’ll regret it, and really grow to hate the cream gloss one”. My very wise friend hasn’t expressed an opinion, but has exhorted me to think through what “my future self” will think- grateful that I saved the £8k, so I can reduce my mortgage borrowing? Or resentful that I spent when I didn’t have to on a completely new kitchen? Or vice versa? My head hurts with it all. I have no idea about your finances (and am not enquiring, either! ), but I wonder if that question of what your future self will thank you for doing, might be of any help to you? I have realised that I am going to do the whole thing: my future self will regret that I couldn’t get it all done with the wave of a magic wand, for free. But writing this has crystallised for me that every time I go in there, I shall be muttering like Muttley in The Wacky Races cartoons, because it doesn’t bring me pleasure or joy. The dishwasher is also fully integrated in that kitchen in the cupboard below the sink (to the left). Anyway, hope that wasn’t all telling you what you have already considered! Get the best quality of everything going into your kitchen. That tile design tool reminds me of crochet granny squares! And just as much fun. I always have a good laugh when reading your posts, love that humor! Thanks! I loved your choices of color for the first tiles you showed us but I think the patterns are too big and too bold for a small kitchen (unless that’s all you want to see). Smaller hex tiles with a small repeating pattern would be nice in your kitchen. Just one thing though, have you thought about going gray instead of white? I have found that white tile floors always look a little ‘messy’, you can spot anything on them (I have white tiles with gray veining in my bathroom, not by choice… It came with the house… And it’s a real pain…). That’s my 2 cents. That is a great point. Aside from the dishwasher door (when open is inches away from its opposing cabinet), the layout works fine and there’s plenty of storage except I would love a place for my cordless vac that I adore. I do have another closet for it, so it’s not that big a deal. I need to get rid of the big plug-in hoover though to fit it in. Haha, your kitchen is adorable even before you’ve done anything! 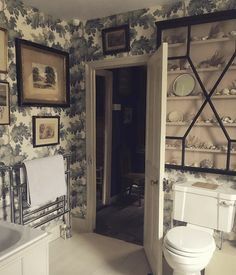 I would get tired of that patterned tile in 10 minutes but you knew I would say that! Laurel don’t kill me for continuing commenting:) Just a thought-everybody and whatever they perceive as restful. Say I’m the happiest in tropics..jungles, very lush flora, bright colors..vast expanses of seemingly restful spaces like sky and sea and desert-yes, they start as being restful. then at some point you start to contemplate life. long before you know it you’re at death part of your contemplation. I’m deadly serious..I spent many years seeing desert from my window. It’s a life changing experience. It gets ingrained into your psyche too I believe. Especially when you’re there at night and all the stars are huge and look like they are falling on you..amazing. And also makes you feel very small, very humble, very.. temporary on this Earth. Just adore those top villa Lagoon tiles you designed & I certainly don’t think they are too busy for your kitchen floor. High Impact !The green & white ones are gorgeous. I wouldn’t want the hexagonal snow flake ones as they are too spaced out (like moi), for the narrow space, in my opinion & they annoy me for some reason. Hope, Laurel, you have a high pain threshold & go under new kitchen cabinets with those amazing tiles. Laurel!! Here’s another thing to know about me(like I’m not blubbering enough lol)-I’m nuts about cement tiles! Nuts. So I know Villa Lagoon Tile (actually ordered samples from them, at one point), Cement Tile Shop, cement tiles from Cle, fabulous Emery et Cie(they’re in Europe), you name it. And I have a Spanish Ranch, so..
but. I had to wave this dream of my good bye because I try every tile..I sprinkle a little water on it and see how it feels..and cement tiles feel like an ice rink. And some people might care less about it, but I for example do care, like, a lot. So that’s something to consider. And back to the floors..the option of wood of course..first, pretty. second, pretty. third..yeah, you guessed it. Whatever you’ll do will be fab. I know that. Right now also looks like many people’s “afters”. So imagine how beautiful it’d be? Remodel thing will be a PITA of course..but hopefully short-term one. They are matte. Very much so. (btw porcelain that imitates them-they have some nice ones at Ann Sacks, but very little choice..(they do have a collection of real deal too-much more expensive)-also slippery. There’s something that’s called a Tile Doctor I think..I can look it up..actually I have it I think-ordered a bottle to try whether it works-so, it does work, it does roughens the tile surface making it less slippery. But. It dulls the colors. Everybody obviously has more or less worries about such things, depending on one’s needs. What is enchanting about the example kitchen you adore is the light. I’m wondering if you could tie the kitchen nook space into the cabinets with a window seat? Something that might keep the light reflectance going deeper into the room, maybe. Another thing that bugs me about your kitchen now: the sink looks too close to the fridge. I’m assuming changing plumbing walls would be a big no-no. Could you make due with refrigerated drawers instead? As to the finishes: I will leave that in your very capable hands. But: in addition to hexagonal tiles, mosaics come in squares, rectangles (stacked pattern or brick pattern), I’ve even seen round tiles. And since they can be adjusted to scale a pattern to your room size, it’s a good move. I think the reason they were used in hotels: all those grout line are a deterrent to slipping. Indeed the light, the staging with the flowers are green pottery all add to the beauty of the inspiration kitchen. Alas, I have one window that faces a good sized courtyard. It does face west so gets more light in the afternoon. I’m also on the third floor which helps. I took the photos in the morning, so duh… darker. You make me laugh out loud when I read your blog. Just for that thank you. Love you and your advise! Thank you so much! One thing I’ve vowed to do is to never sell out. It’s easy to spot and it turns me right off when I see it. Yes, this selling out is easy to spot, overtakes blogs, ultimately is a great bust to creativity. Folks become dependent on it. That’s the reason I read so few blogs..and see so many that deteriorated if you can use this word in relation to blogs, due to that. It’s a line that’s easy to cross I guess but hard to get back from. That’s one of the reasons I love your blog so much, Laurel. You’re a made person so to say; thus, you depend less, both because you’re far in your career, you’re a mentor already.. and because of your fiercely independent nature and true-to-yourself personality. I have other issues too. Like the fridge size and the walls are a big mess. If I change the floors, it needs to be a big change. See? It really is a pandora’s box. And I began with the bedroom! A few people told me that I was overthinking it. Ha! I don’t think there’s any such thing. Underthinking is what causes mistakes. I’m not a fan of black hardware and appliances. I see where you’re going. It’s too contemporary and I’m trying to be more age-appropriate. 1920s. You would need a good contractor to figure out how to configure your favorites of the cabinets for your small kitchen. And usually if you don’t want/need the appliances that come with the set, they will keep them and drop the price. The even have some La Cornue ranges for sale!!! And they sell bathroom sinks, faucets and vanities too! And we haven’t even mentioned Craigslist and Build It Green! Those are terrific resources and I hope that other readers can benefit, but nothing beats free. My not-so-little blog is beginning to attract a lot of attention from vendors who WANT me to have their products. simple and straight forward, that sink bump out drives me crazy. And you must have to move off to the side to open the oven. If at all possible, I would move the sink to the other side of the kitchen, so all the deeper items are on one side. Maybe a counter depth refrigerator, too. Use shallow base cabinets on the opposite side of the kitchen. An upside to the shallow base cabinets is that nothing gets lost in the back. You could place the upper cabinets up to the ceiling and add open shelving under them. Get rid of the huge microwave and use a cute small one on a shelf somewhere other than over the stove. Cheap and easy to replace when it wears out. Like I said, Quirky R us. The kitchen is verrrrrrrrry narrow when you walk in. There is a wall flush with the fridge for about four feet on the right. The way it was done is the way it must be done. The oven isn’t a problem but the dishwasher is. I am always knocking into the door when loading and especially unloading it. Moving a sink to the opposite side would not be an option as the wet wall is where it is. On the other side of the kitchen is a stair well. Quirky old building too. Right. the nuker needs to go. I would love a drawer microwave. They are awesome! If you liked their tile tool, you’ll probably like this mosiac tile tool at Daltile http://mosaicdesigner.daltile.com/ and you can download tile coloring sheets at Subway Mosiac, which has a larger color range in hex tiles, at http://subwaymosaics.com. It has some nice design inspiration too. These companies will customize to meet your designs. Or you can buy colored sheets and make your own. Oh wow! You’re just not kidding! That’s a great resource! Not sure you guys don’t already realize that I HAVE a tile floor– right now. We all have limitations in our homes (well, not all who are featured in Veranda, but I digress). I live in a 1963 ranch, and I redid my kitchen from one that had knotty pine cabinets and drawers that made sawdust every time you opened them. I had about 2 feet of counter space and that awful formica with the metal trim. I had a 1974 Magic Chef oven that fit nothing in it. Seriously, the door had to be open every time we used it!!! AND on top of that, brown plaid wallpaper and brown fake brick linoleum on the floor. CANNOT make this UP!! Anyway – redid my kitchen 10 years ago – got a 48″ range, put in hardwoods, had to sacrifice on the counters and do builder grade since I wanted to go high end in other places. When I am out with my clients buying marble, I am redecorating in my mind every time. The thing is, we need to be happy with what we have. I don’t know if you’ve seen the rest of my place. I do like putty cabinets, but that would never work with everything else that I have. I think that some have misunderstood. I don’t hate my kitchen or any room in this apartment. I wouldn’t have bought it if that was the case. I need new appliances. The walls most likely have mold in them. I already HAVE a tile floor. A very hard tile floor. It doesn’t bother me. I’m not cooking much anymore. I AM happy with what I have, but that mean that I can’t change it. There are a lot of compelling reasons. and life is short. My best friend who denied herself everything even when she was withering away at an alarming rate from lung cancer, died a millionaire. Her younger brother got it all… and did a number on his home. There’s a lesson for me there. it’s lovely flooring but in a small space it would seem too busy. I would keep the cupboards white and to the ceiling, the flooring bigger tiles so fewer lines and beautiful quartz countertops ( cheaper than marble ). I love the second light fixture, as it fits with the time period of your building. An appliance garage hides small appliances and keeps the counters clear for a less cluttered look. Stainless steel appliances are timeless. Thank you for all of that. Yes, the cement designs I did are too busy. They are beautiful to look at on a computer screen though! And they are very fun to create! just love your posts so much. The first tile patterns you designed are gorgeous. Maybe use them in the middle of the space only, or as a boarder around a more neutral tile so it’s not too overwhelming? And your kitchen is actually really awesome, especially for a NY apartment. Would you consider getting rid of the top cabinets altogether? That’s definitely my next move—I haaaaate my top cabinets so much. What if you extend the counter where the sink is all the way to the window,,, have storage under there? 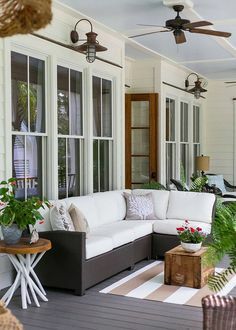 Or use that space and make a bench with seating and storage under.. you’d have to get a different table but it would open up more space in front of the window w/o the chairs? Moving… uhhh ok 🙄it’s more expensive to sell/buy/move and then have to do work anyway. I love bronxville! 2. We had an empty room with a huge unused shelf unit (long story) that allowed me to empty out the kitchen completely without having piles of stuff all over the floors. This really has cut down on the amount of time I spend scratching my head, wondering where I’ve put stuff. 3. We blocked off and taped up both sides of two doors leading to the kitchen from other rooms in the house. So the only way to get into the kitchen right now is through the laundry room from the back door. This has completely prevented construction dust from getting into the rest of the house. 4. My husband and I both love to eat out . . . and there are lots of good eating places around. So we’re having fun lunches out, then nibbling at home for supper. 5. A friend has loaned us a counter top microwave, fridge and hot plate, which we’ve put in our largest bathroom. The fridge has been indispensable, saving us many long trips outside and around the house to the kitchen. We did put in new hardwood floors, mouldings, paint and a kitchen botox. The only real difficulty is that I had a young toddler to keep away from the drying oil-based paint, but otherwise, it wasn’t so bad. I think it’s a little easier in a house. I have no where to escape. I really would have to move out for a time. In fact, I found what looks to be a very nice Airbnb within walking distance of me. It must be, because I’m a 5 minute walk to the train station and so are they! Sometimes I think I must be barking mad, but then again there are people who move and renovate like some people change their hairstyles. Oh wow! Thanks for that tip Dolores. I wonder if there’s some sort of sealer or something like that, that would make the tile easier to clean? Take a look at these . . . I saw one in a home store the other day. It was so cute. Yes, I’m familiar with Smeg. It’s a look for sure. I’m not really into the whole mid-century thing. But I adore their stainless ranges that are in most of the DeVOL kitchens. Hi Lauren, I would go with white kitchen cabinets with lights inside the glass doors to illuminate or show off your dishes. Lighting needs to go in the beginning before they install. Maybe a mirrored back inside one of two but not all of them. I would definitely pick that La Cornue stove and the matching capiz shell pendant which is nice and airy for your size kitchen. The Restoration one is heavy looking. I know this is typical but I would pick wood floors which are so forgiving on the spine. My sister in laws mother had marble floors. So hard on her back. She went with oak in her next home and she had unlimited resources (mansion). I would maybe do a white hexagon tile backsplash with some glitter ones mixed in here and there. That way you get the hex design without making it dirty. I was going to say that about the floors being too busy but you beat me to it. Out shopping today and was thinking about your bathroom and it occurred to me, you should take your own advice, what you would tell your own clients, if it’s good enough for them it is for you also. No, not hard at all… I have never created my own kitchen or bathroom– just cosmetic stuff. Ruth suggested that I move. Ha! First of all, I love my apartment! Love the location. And if I managed to find something that was done exactly right, it would be way out of my price range. The only way I can do this project is if the bulk of it is sponsored. I’m a professional blogger now. But it’s a win-win. I get a new kitchen/bathroom, whatever and write about it… I will learn, you guys will learn and the sponsors will probably get some paying customers. Is it time to sell this place? Also, the kitchen cabinets you like go all the way to the ceiling – that would give you more storage and restore the tall elegance of the kitchen! Yes, the cabinets must go to the ceiling.